Can you tell that I am currently obsessed with highlighters? Mac's Strobe Liquid has been on my get list for a while now and Benefits Watt's Up is another I keep hearing raves about. I have yet to try out Maybelline's Baby Lips. I still have plenty of lip balms at home that I really don't need to add anymore but every time I go to the store I am tempted to grab one of these baby lips. I enjoy looking for products for my eyebrows because I think groomed eyebrows are a must to have a put together look whether you are going au natural or glam. I do agree with Michelle Phan when she says "your brows are like sisters but not twins". I hear wonderful things about the Milani tinted eyebrow pens, so of course it is on my list! 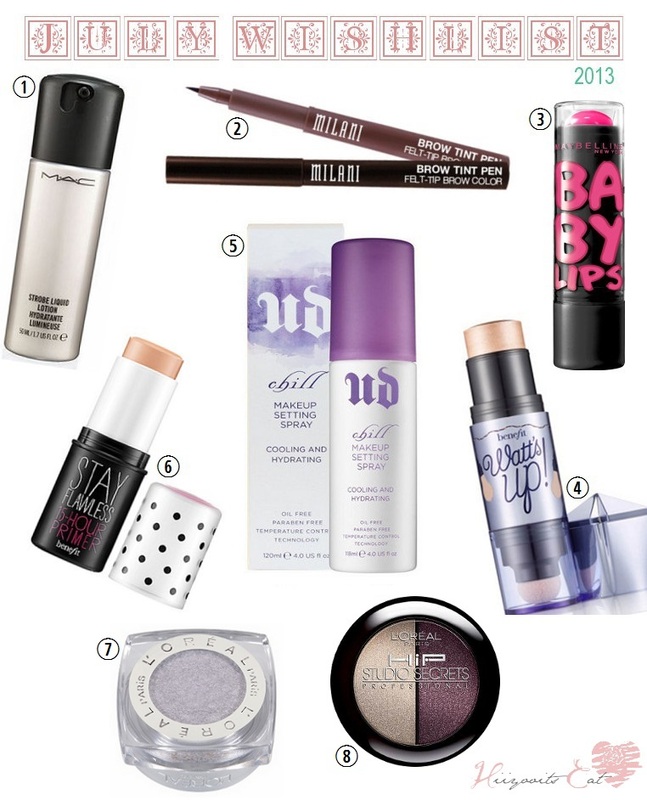 I recently ran out of my Mac fix+ and have been looking at the urban decay setting sprays and Chill seems to be the one I would enjoy the most. I mean come on.. who doesn't like a chill--cooling feel on their face, I know I do! The L'oreal eyeshadows have been on my list for such a long time now but honestly I am not sure if the hip duos are worth $7-8 but they will stay on my list until I actually own them. Benefit's Stay Flawless primer has been on the rave lately on youtube and beauty blogs. I'm not a huge primer fan since most of them target oily skin instead of dry but why not give it a try right? 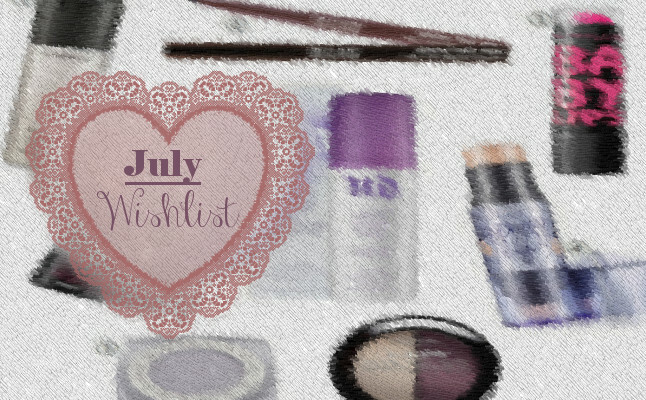 What's on your wishlist? Share below. I would love to own most of these products too! I have never tried Baby Lips but hear so many good things about them! :) By the way I also love your blog design, so pretty!